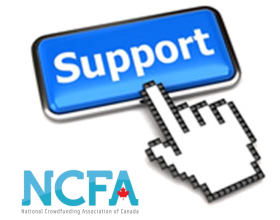 On March 20, 2014, the securities regulators in British Columbia (BC), Manitoba (MB), New Brunswick (NB), Nova Scotia (NS), Quebec, (QU), and Saskatchewan (SK), proposed a crowdfunding specific prospectus exemption. This exemption is modeled after the crowdfunding exemption adopted in the province of Saskatchewan on December 6, 2013. The exemption is light on requirements for both issuers and online funding portal operators. The proposal is open for comments until June 18, 2014. Issuers relying on this exemption to raise capital and all investors participating in an offering must be a resident one of the provinces where this exemption has been adopted. The exemption is not available to reporting issuers or investment funds. Issuers can offer any type of security other than derivative type securities. The amount issuers can raise under this exemption is capped at $150,000 per offering. Issuers can rely on this exemption twice in a 12 month period raising an aggregate total of up to $300,000 during this period. Each investor may invest up to $1,500 in an offering relying on this exemption. There is no limit on the number of equity crowdfunding offerings by different issuers an investor can invest in under the exemption. Issuers planning on using this exemption must provide 10 days advance notice to their provincial securities regulators by filing basic information about their company, the offering and each promoter, director, officer and control person related to the company. They must use an online funding portal to sell their securities. They cannot pay a fee or commission for the offering to anyone other than the online funding portal. There is no requirement to provide financial statements or any ongoing obligations to provide information annually to investors or regulators. Online funding portals posting offerings relying on this exemption are not required to be registered as a registered dealer or in any other capacity. They are only required to provide 30 day advance notice to each provincial securities regulator in the province(s) they intend to act as a funding portal under this exemption. Funding portals are not subject to the “know your client” or “client suitability” rules imposed on registered dealers and other registrants. The requirements imposed on funding portals are very light. The head office of the portal must be located in one of the provinces where the exemption is available and its promoters, directors, officers and control person must be Canadian residents (this is a change over the original Saskatchewan crowdfunding exemption). Can an Equity Crowdfunding Specific Exemption Using the Saskatchewan Model Work for the Rest of Canada? I like the Saskatchewan equity crowdfunding model as the crowdfunding market using this exemption is left to grow and evolve on its own with minimal regulatory interference. The main drawback is that with light rules comes a low cap on how much issuers can raise and how much investors may invest under this exemption . These caps are how regulators believe investors can be protected from large frauds and poor quality investments. Assuming no fraud or major catastrophes, I can see these caps being raised over time as regulators become more comfortable with equity crowdfunding. This is also not the only equity crowdfunding exemption under consideration by MB, NB, NS, QU and SK. These five provinces are also considering adopting the Ontario crowdfunding exemption model. Your written support is necessary to guarantee this exemption will be adopted by the securities regulators in the provinces and territories who put forward the proposal. I also encourage you send a letter to your local securities regulators in support of the exemption even if your province or territory did not participate in proposing this start-up equity crowdfunding exemption. For more information about the Saskatchewan crowdfunding exemption see: Saskatchewan Adopts First True Crowdfunding Private Placement Exemption in Canada. Author: Alixe Cormick is the founder of Venture Law Corporation in Vancouver, British Columbia and a member of the Advisory Board of the National Crowdfunding Association of Canada. You can reach Alixe by phone at 604-659-9188 , by e-mail at acormick@venturelawcorp.com, on twitter @AlixeCormick or on Google+.